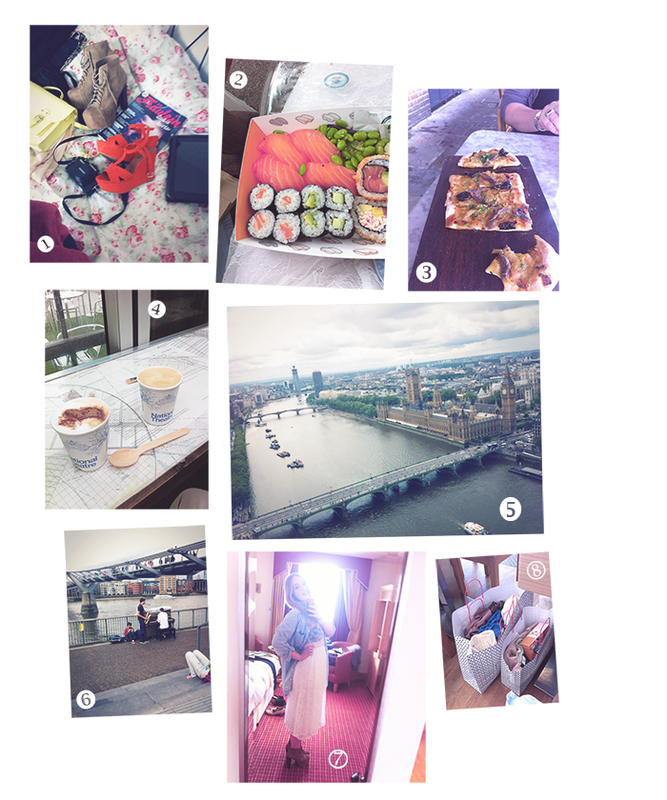 2 - When we arrived in London, we ate heaps of sushi in a park, whilst watching first two business men and then two construction workers playing pingpong right next to us. 3 - After walking along the Southbank, which was beautiful in too many ways, we sat by the Thames and drank a glass of Champagne outside but sheltered from the pouring rain. It was one of those moments we'll look back on in a few months or years and just smile because it happened. 4 - The best coffee I had in England, hands down. Look at that wooden spoon. 5 - London oh London, from the London Eye. I saw Michael Fielding near here, but wasn't sure it was him. It was him. 6 - Outside the Tate Modern there were these boys playing, they were probably around sixteen years old. I stood there for a while. The boy on the left, who was definitely the youngest, was just watching too while rolling a cigarette. I can't say exactly why, but the scene was perfect and I could have stayed there for much longer. 7 - In the hotel room before going to see Wicked, which was amazing! 8 - Did a touch of shopping in Topshop Oxford Street! Even if you don't speak German, this song might make you feel good on the inside.